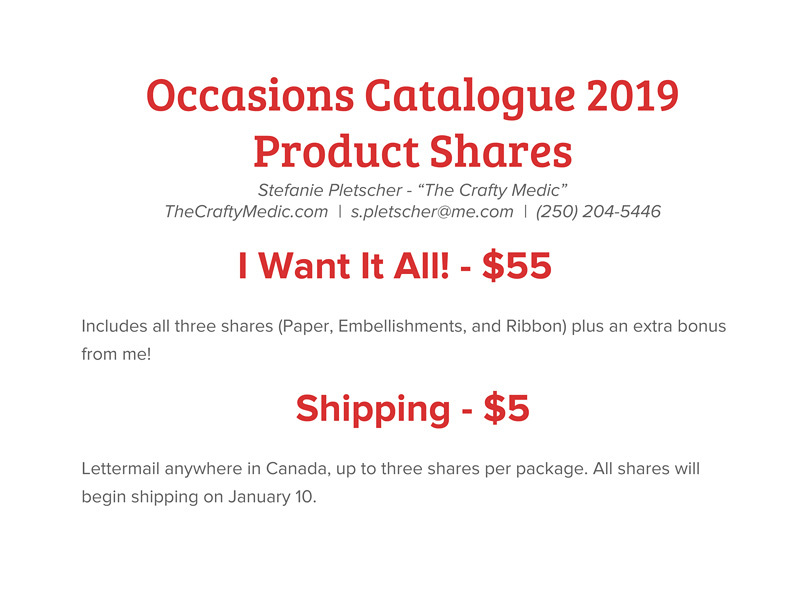 The Crafty Medic: Happy new catalogue! Today is the big day! 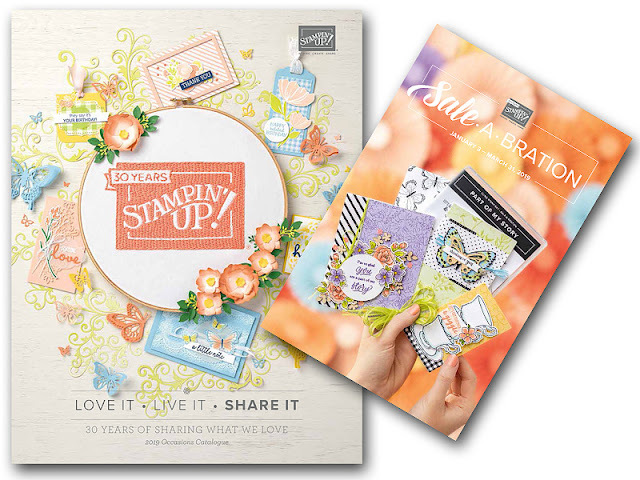 Today is the day that all the new occasions catalogue products go live and we can start earning free Sale-A-Bration items! If you haven't received your copy and would like me to get you one, please let me know! 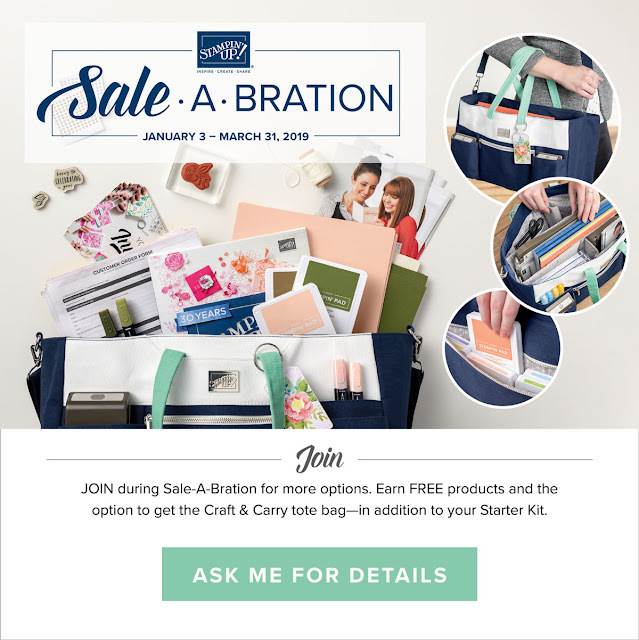 If you're not familiar with Sale-A-Bration (or SAB as we call it sometimes) I'll give you the quick run down. The just of it is that between now and March 31 you get free stuff. 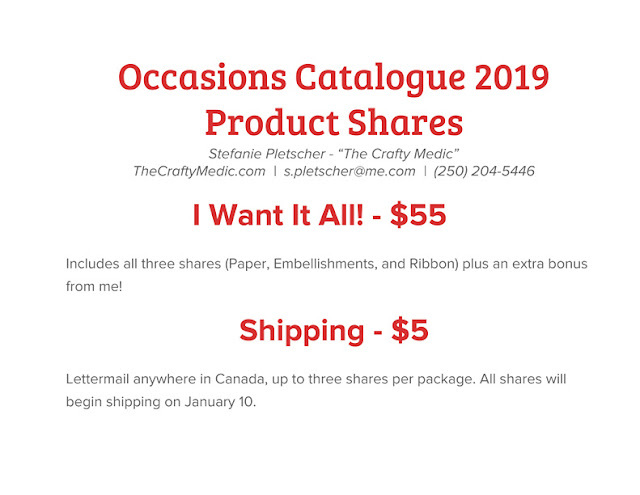 There's three ways to get that stuff, which you can pick from the SAB brochure in some cases, and the regular catalogues in others. First you can place an order. For every $60 you order you get to pick a free item from the SAB brochure. There's some awesome stuff in there! Second you can host a party or workshop. 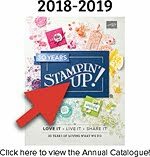 When you host and the sales are over $300 you get an extra $30 in free catalogue product, which means you'll get to pick at least $60 of free stuff! 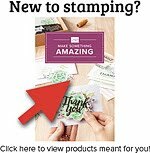 You can also join my team. You'll get to pick one of two starter kits where you get $225 worth of product from the catalogue for only $135 (including taxes and shipping) or you can upgrade to include this super awesome tote for an extra $40. 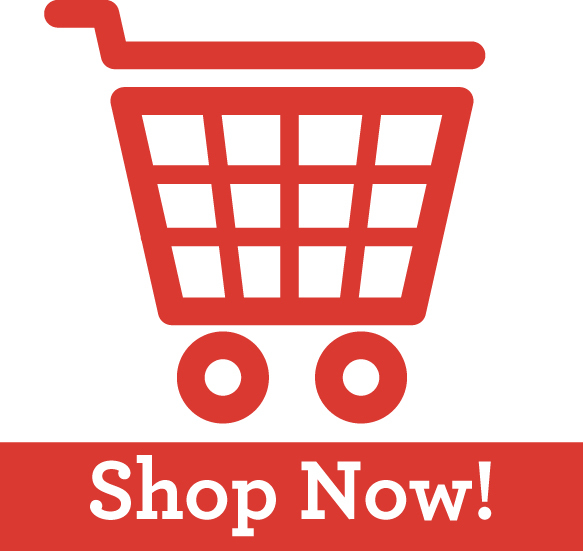 This also ensures you get at least a 20% discount on all your future orders through at least the end of July! You'll get access to exclusive sneak peeks, creative inspiration, and social events as well. Last but certainly not least, a new catalogue means new product shares! This is a great way to get a sampling of new product without committing to entire packs and spending a lot of money. 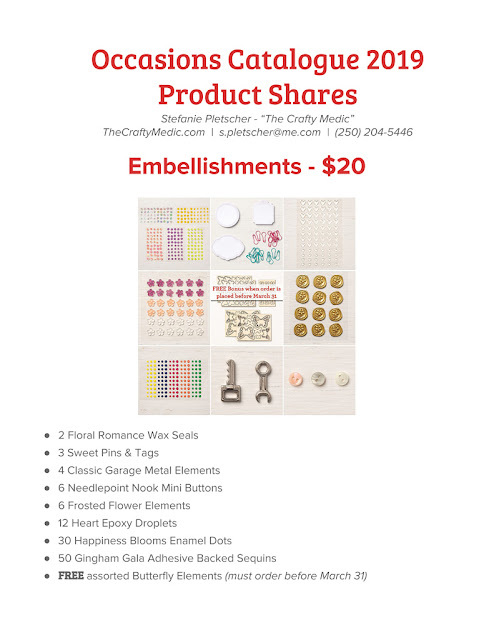 If you'd like any of these shares (or all of them), just let me know! 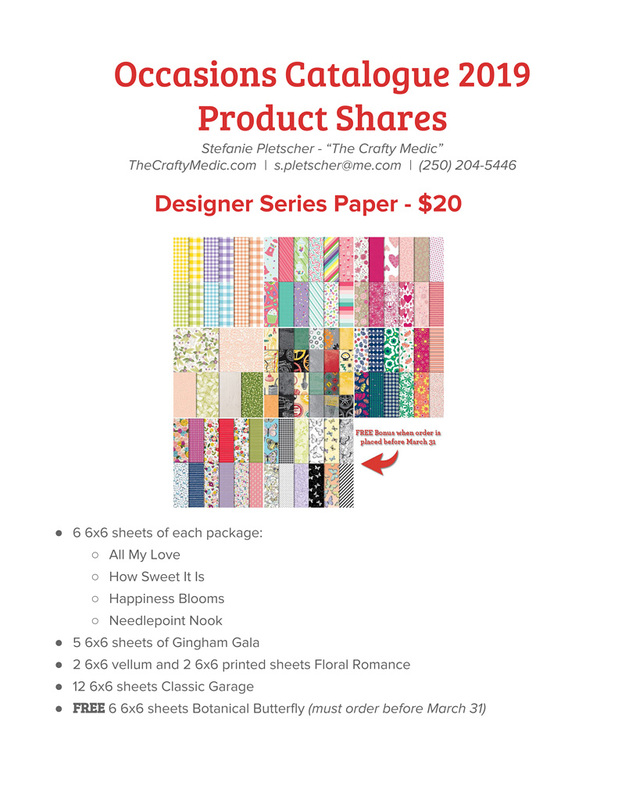 As always, if you're in Canada you can click to order current products online, subscribe to My Paper Pumpkin, become a demonstrator, and contact me (even if you're not in Canada). 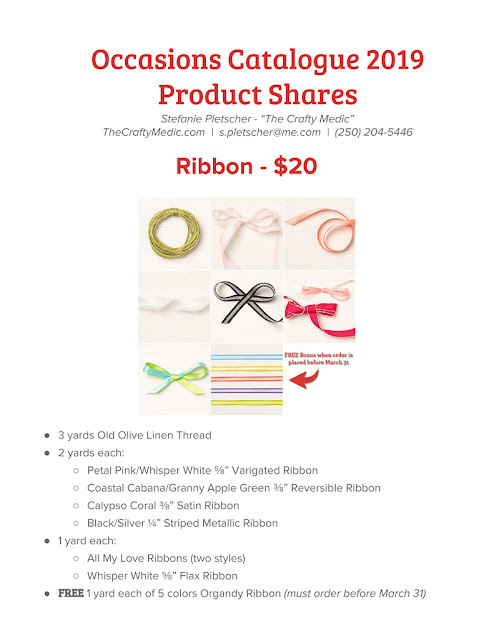 When you place an order through my online shop, make sure you use the host code to the right. 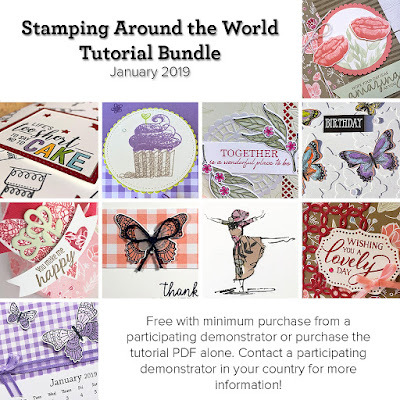 When you do so, you'll not only get entered on my bingo card to get free goodies, but when your order is $65 or more, you'll get a tutorial PDF with ten amazing projects to create! You can also join my Facebook group "Creating with The Crafty Medic" to be a part of weekly creative challenges complete with prizes!